Following List and Cardwall, our wiki feature is the most widely used feature among Assembla users. 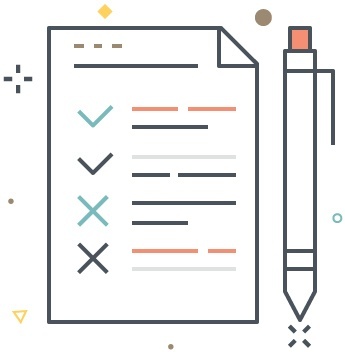 With Assembla’s wiki, you can create meeting notes, project plans, product requirements, capture customer feedback – using our powerful editing tools. Whether you use Markdown language or WYSIWYG, our wiki lets you work your way. Leave your feedback on the work itself with comments on any page. Lookup the history of the changes to any page to understand how it evolved. Embed and upload files directly into the wiki such as embedded video’s to build fantastic content libraries or knowledge bases. As part of a multi-release strategy we took an incremental approach and updated the look and feel of the feature to be inline with the rest of the real time tool set. In addition to improving the UX for the wiki, it's now easier to find and organize. The front-end is a lot faster now and you can access settings more consistently and use more advanced markup in the WYSIWYG editor. We know how important the wiki is to many of our Assembla users and this is just a first step to dramatically improving this feature. We have more updates in the pipeline including more advanced export features. Please stay in touch with our product roadmap to see or request future features on the wiki. We hope you enjoy the feature and find it useful for developer collaboration. Thank you for all of your feedback and comments! 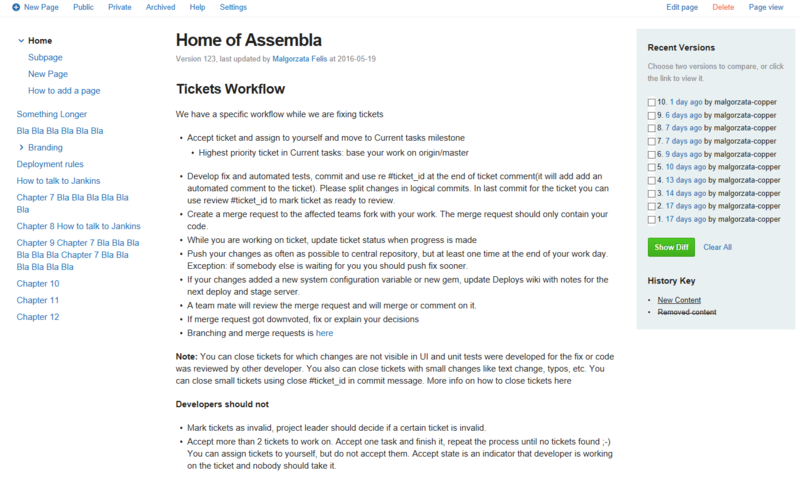 We’re committed to radically improving the product for new and existing customers moving forward and we encourage everyone to check out our public roadmap to see what’s coming down the pipe and suggest new things you want to see in Assembla!